Beer and Cheese - Say Cheese! 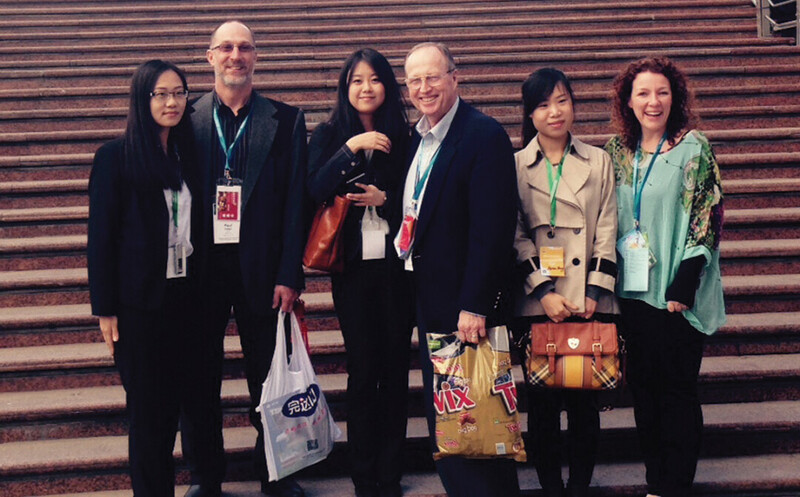 Marieke Peterman, far right, took part in a Wisconsin trade mission to China in April. We already know that Holland’s Family Cheese over in Thorp makes some of the best cheese in the country. Well, the best. Their Marieke Gouda Mature was the Grand Champion in the 2013 U.S. Championship Cheese Contest. And since 2006, the cheesemakers have won more than 80 awards for their amazing cheese. The cheese itself is so good that the entire world is starting to take notice. In April, Marieke Penterman, the cheese’s maker and namesake, traveled to China as part of a delegation of more than 30 Wisconsin agricultural professionals put together by the Wisconsin Department of Agriculture, Trade, and Consumer Protection. The trip was basically a trade mission to Wisconsin’s sister state, Heilongjiang Province on China’s most northeastern tip. The mission was simply to foster relationships on different levels so China can fortify Heilongjiang’s blossoming dairy industry by looking to the masters for their expertise. China is also an important trade partner for Wisconsin agriculture. The country ranked third in 2014 for agricultural exports from Wisconsin, which include hides and skins, whey, lactose, lumber, ginseng and more. According to the DATCP, total Wisconsin agricultural exports to China were valued at $278 million in 2014. Heilongjiang, which is located along the Russian border in northeastern China, is known as the center of China’s dairy industry. The province was home to nearly 2 million cows in 2013. Part of the delegation’s approach was to foster business-to-business contacts between China and Wisconsin at the China World Dairy Expo and Summit in Heilongjiang. Another part was Wisconsin producers getting the chance to do demonstrations and presentations for would-be Chinese producers about their various products, everything from the dairy itself to various agricultural tools and equipment. And throughout the trip, our delegation made sure to invite people to our own World Cheese Expo in Madison in late September.